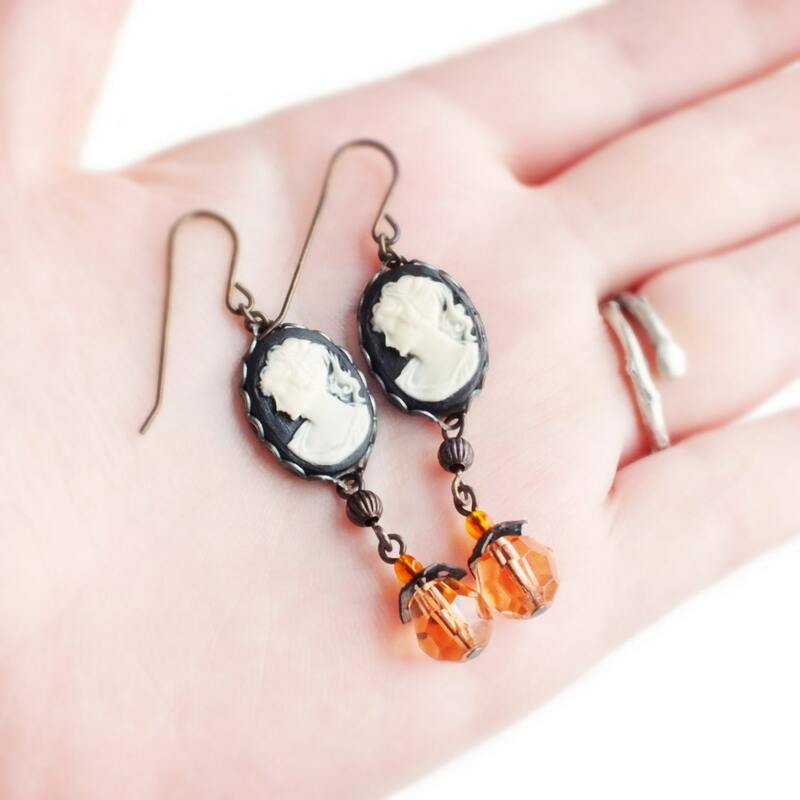 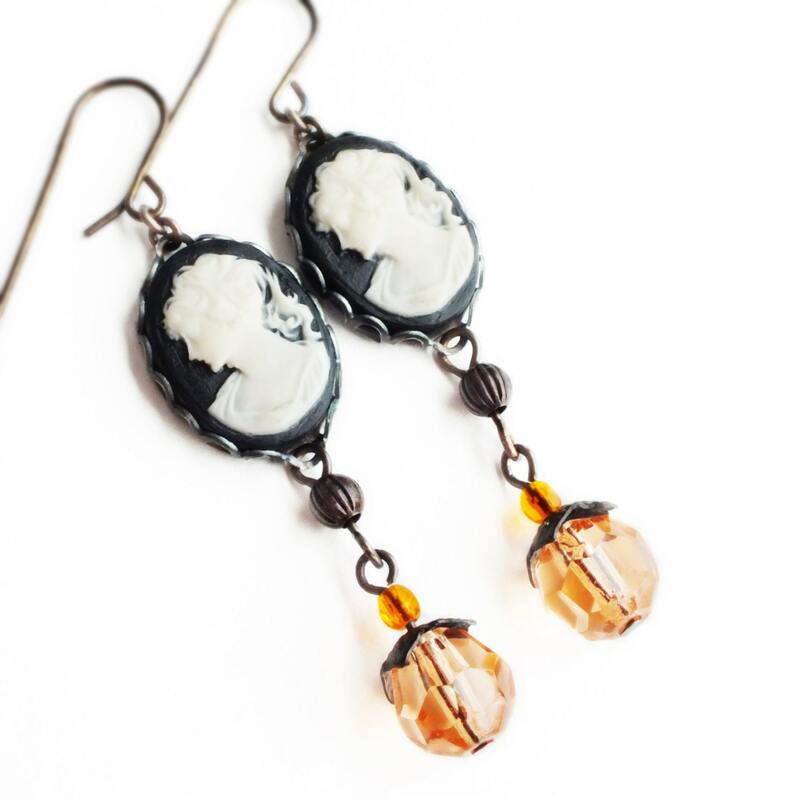 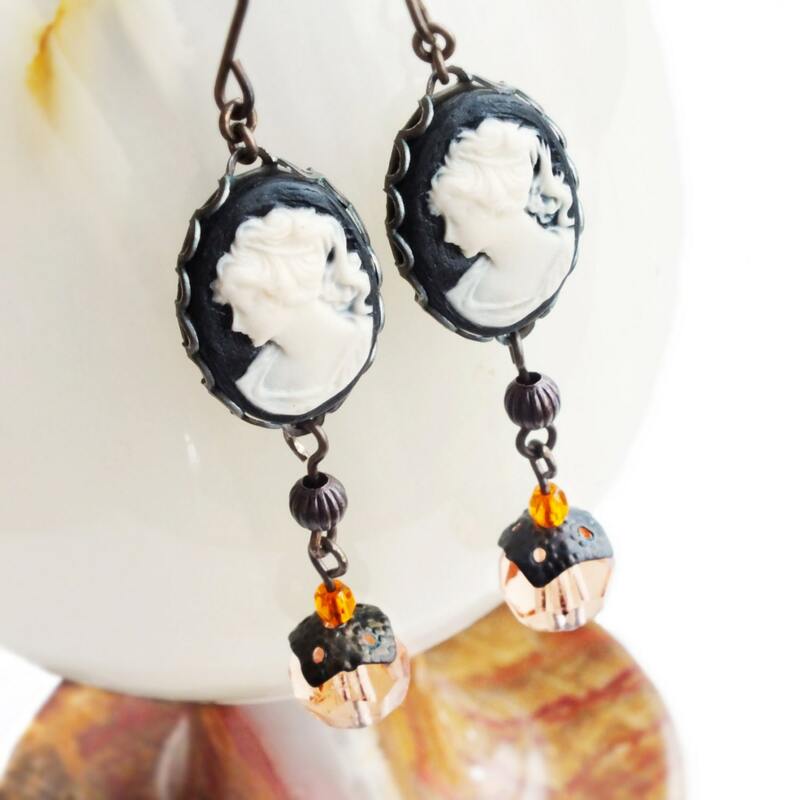 Handmade black cameo earrings with vintage orange and peach glass dangles. 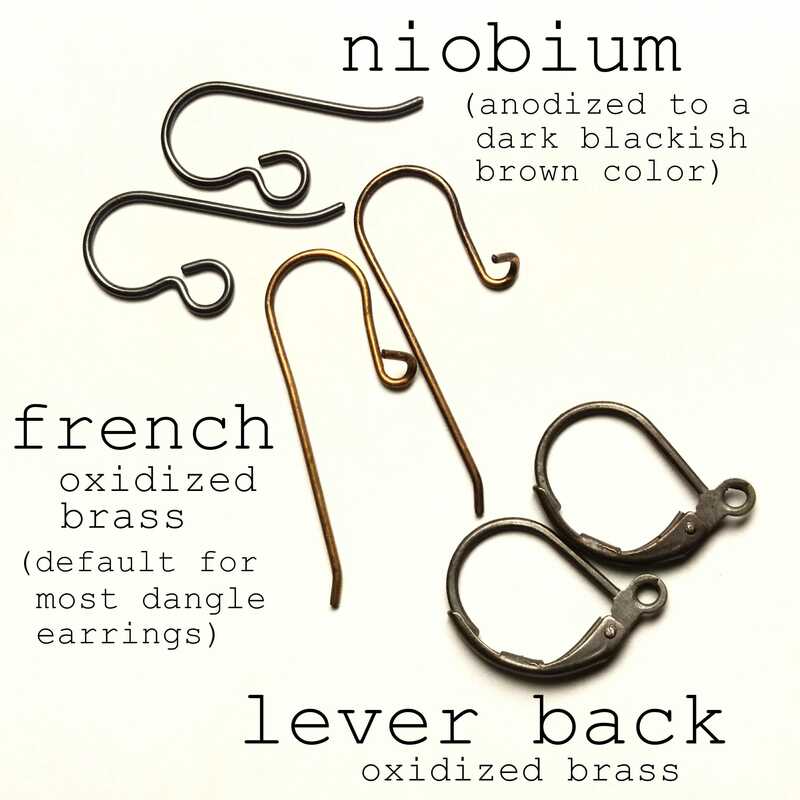 US made oxidized brass designer ear wires. 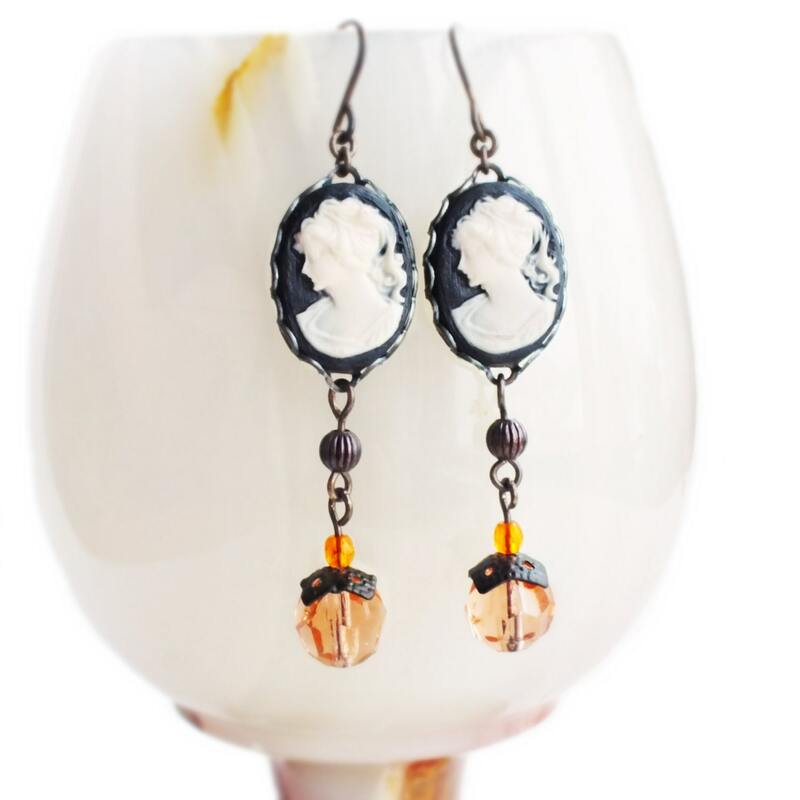 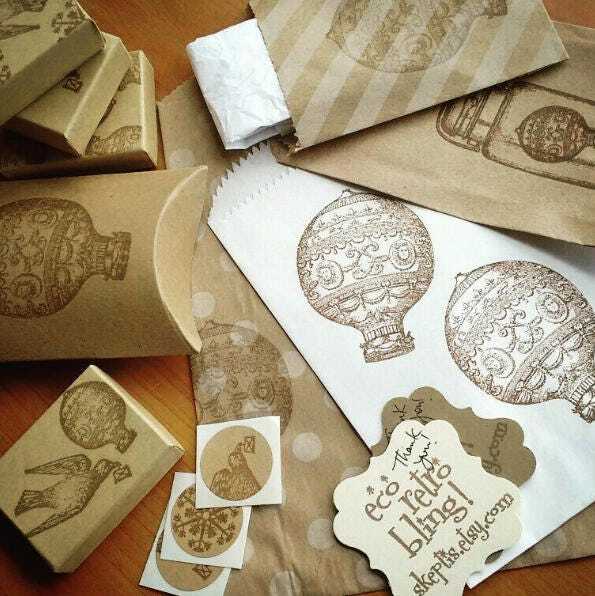 Beautifully detailed vintage resin black and white cameos set in lacy antiqued copper settings. 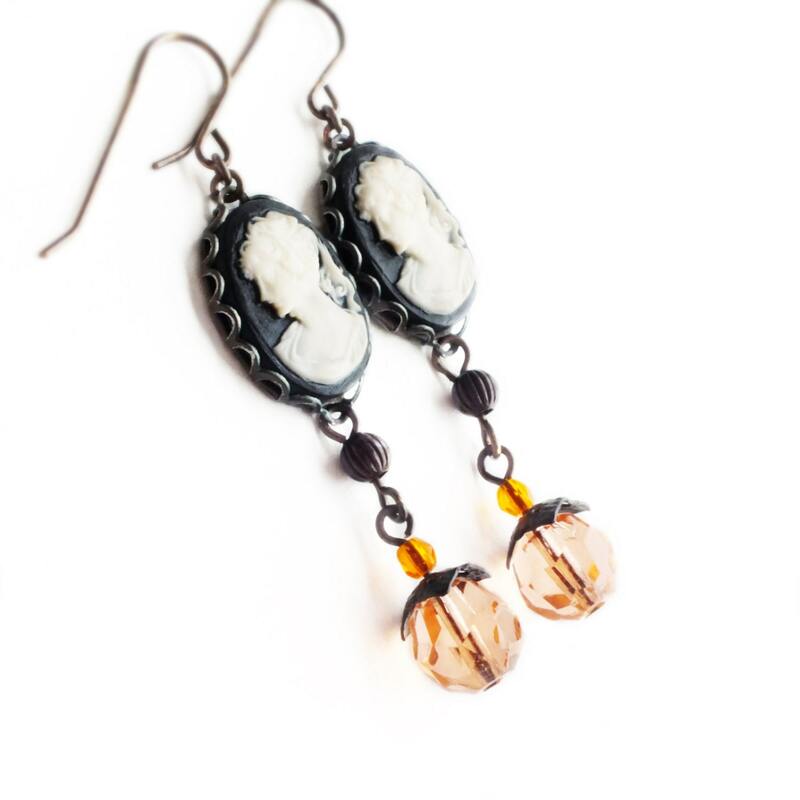 Adorned with peach and orange glass beaded dangles with dark brass accents.